February is National Senior Independence Month. Ask any senior what they want as they age and independence pops up. Senior citizens want to come and go as they please. They want to live in the home they’ve owned for years. They want to feel safe in that home. National Senior Independence Month is a good time to look at all the things your dad is doing right. He’s walking every day. He’s eating three meals a day and drinking plenty of water. At some point, he’s going to need some help. Now is a good time to address what help he may need down the road. Kick off February by having an open conversation about elder care services. Your dad may be healthy right now. Do you really know where he’ll be a year or two from now? His blood pressure may be a little too high. He might have fallen on an icy sidewalk and have a harder time walking up and down stairs. It’s these situations you need to think about. If something happens, how well could he manage housekeeping, meals, and transportation? 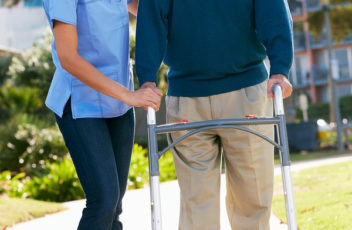 Those are just a few of the services available through an elder care agency. Your dad needs to think about whether he would need help carrying his laundry in the future. Is he always going to be able to drive, or will there come a time he needs help getting to appointments? Does he have plenty of friends nearby or is he likely to get lonely? Your dad needs to think about these scenarios and what would happen if he took no action. If your dad isn’t supposed to drive and ignores his doctor and crashes, where will he be then? Would he go to jail? Is his insurance likely to keep him if his driving leads to a costly personal injury case? If arthritis kept him from cooking a meal, would he end up in the hospital due to malnutrition? By being proactive, your dad is taking the steps needed to help him stay safe and stay independent. His caregiver comes only as often as needed. He still comes and goes as he pleases. He doesn’t have to move into assisted living or a nursing home. He’s safe in the home he loves with the help of a trained professional. That professional is only there when needed. Take that first step. 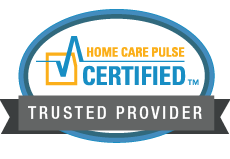 Call a home care agency to discuss elder care services that help your dad live independently at home without fear.